A Stephen Hawking signed book has been put up for auction – signed in 1973 before the late scientist lost control of his hands to ALS. 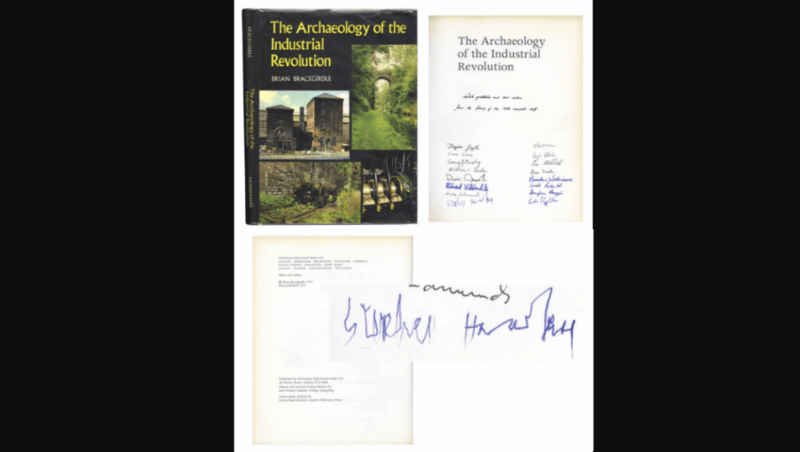 Before he died on March 13 at the age of 76, the astrophysicist continued to make huge contributions to the field despite his degenerative disease – making this Stephen Hawking signed book a considerable value for the collector interested in scientific memorabilia. Hawking was one of the few astrophysicists to achieve such levels of fame that the general public was aware of how smart and talented he was, and his hard work in the field of physics absolutely showed. The same year that we saw the Stephen Hawking signed book, he published his first key cosmology book, titled “The Large Scale Structure of Space-Time.” – an important work that he co-authored with cosmologist George Ellis. Hawking and Ellis saw great success with the book, and it is now considered a classic that has gone through multiple reprintings. The Stephen Hawking signed book came slightly before he needed to be confined to a wheelchair, an unfortunate fact of life starting in 1975 for the scientist who would live far longer than anyone expected given the seriousness of his illness – surviving and working until his death at age 76. The Stephen Hawking signed book is an important piece of scientific history with a famous name attached, and it seems to be priced accordingly with a starting price of $28000. Bidding is open until 8 pm EDT on Thursday, April 26 and comes with an explanation of its importance as a signed first edition. The Stephen Hawking signed book serves as a reminder that diseases like ALS don’t necessarily have to lead to a life without significant contributions to the rest of the world. While Hawking was severely limited in his ability to function practically, that didn’t hold him back from wielding his significant intellect to revolutionize our understanding of astrophysics and make some groundbreaking contributions that continue to inform our knowledge of the universe to this day. Hawking’s passing was unfortunate and upset many who had been influenced in one way or another by the late astrophysicist, but it’s heartening to think of how he beat the odds and managed to live a long and fulfilling life despite the shockingly low life expectations of someone with ALS – especially at the time he was diagnosed. As a piece of scientific history that gives a snapshot into the early career of a scientist who helped bring the world of astrophysics to the mainstream, the Stephen Hawking signed book will likely be worth far more than the asking price to certain collectors. We’ll have to wait and see just how high the value will climb before the auction closes on Thursday evening – but it’s expected to be a competitive race as people try to get their hands on a piece of memorabilia that should only increase in value as time goes on.